A Year of Being Here: Pierre Reverdy: "For the Moment"
"For the Moment" by Pierre Reverdy, from Selected Poems by Pierre Reverdy, translated from the original French by Kenneth Rexroth (New Directions, 1969). No bookseller information available for this edition. Text as presented on Read a Little Poetry (12/25/2014). 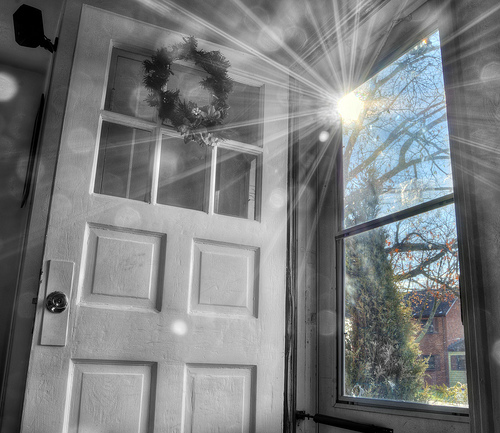 Art credit: "House Front Door Open," image by unknown photographer.